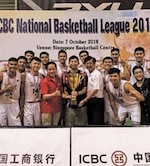 After losing back-to-back Asean Basketball League (ABL) Finals, the Singapore Slingers are hoping a pair of potential signings will provide that winning edge. Filipino guard Mikee Reyes and Canadian Ryan Wright (206-C/F-87, college: Oklahoma) have been added to the Slingers' 12-man squad for this month's Merlion Cup, which head coach Neo Beng Siang will use as an audition for the duo. Besides the hosts, the Sept 20-24 invitational tournament at the OCBC Arena features the Shanghai Sharks (China), Adelaide 36ers (Australia), Satria Muda Pertamina (Indonesia), Yulon Luxgen Dinos (Chinese Taipei), Jeonju KCC Egis (South Korea) and NLEX-SCTEX (Philippines). Reyes, 26, averaged 12.1 points and 2.1 assists in his final year at the University of Philippines in 2014 and has played in several semi-professional leagues back home. But it is fellow triallist Wright that Neo is pinning his hopes on. Neo said of the 2.06m centre: "He's quick and athletic, so hopefully this can help our team which plays the running game." With last season's starting centre Justin Howard, 36, out of contract, Neo sees the 30-year-old Wright as an ideal replacement. 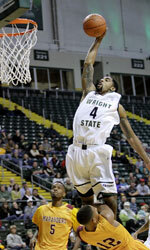 Wright played in the 2006 National Collegiate Athletic Association finals for the University of California, Los Angeles - albeit in a limited role - and was a starter for Hungarian top division club Szolnoki Olajbanyasz. Neo said: "Our players will feel more confident to have a rim protector." Both Reyes and Wright will arrive in the coming days. Slingers captain Desmond Oh is looking forward to integrating them into the team. He said: "We always do our best to help the imports out, both on and off the court." Added forward Leon Kwek: "After seven seasons, we and Saigon Heat are the only teams that have not won a championship yet. "Hopefully Ryan is going to come in, play at a high level and deliver our first championship."